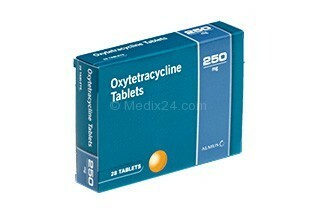 Oxytetracycline is a broad spectrum antibiotic, which is used in the treatment of many infections caused by bacteria. Used for treating: acne, urinary tract infections. Also used for treating: chlamydia, gonorrhoea and syphilis.